Imagination, design, experience, and art, put it all together and you have the i.d.e.a Museum. The purpose of this museum is to inspire and encourage children to experience the world through art, creativity, and imagination. The building is a refurbished grocery store from the 1950s , made new and exciting for kids. The i.d.e.a museum has over 20,000 feet of space featuring two art galleries, three classrooms, and various exhibitions and activities. Exhibits are changing every so often to keep things fresh and new. Each exhibit features artwork that reflect a chosen topic or theme and displayed by different artists from all over the world. For example, June through September of 2015 one of the exhibits illustrates folktales. This Exhibit is called “Once Upon A Time” and it reflects traditional tales passed down from generation to generation. These stories also help us get a better understanding of the culture these tales came from. The artists paint a picture for us of how they lived, what they believed, and the values they held. 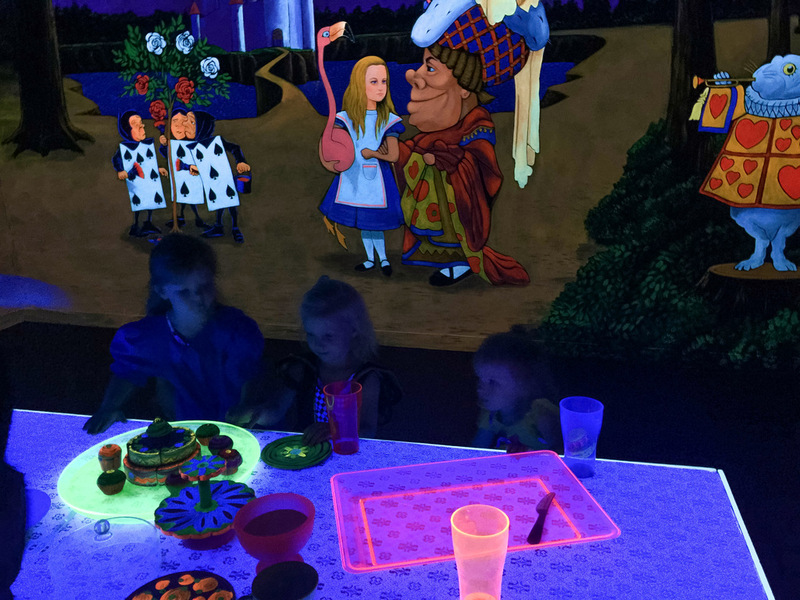 Visitors may explore colorful fairy tales, fables, myths and legends. Many hands on activities will be found along the way such as Greek pottery, interactive magic mirror, and building a castle from wooden blocks. At the end of the journey the children are given the opportunity to act out a story of their own creation. 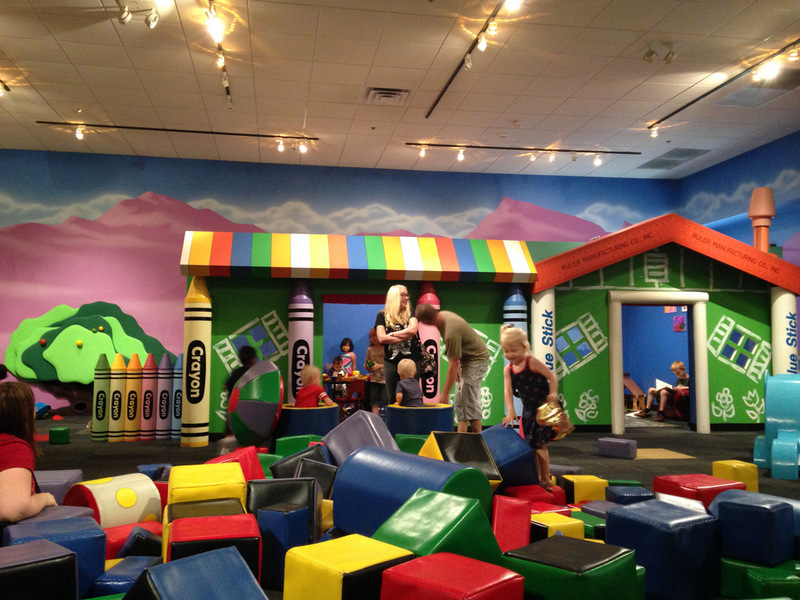 Artville is designed for those under 5 years of age. Curiosity will teach young toddlers and babies new colors and shapes. The little village is fill large crayons, paintbrushes, glitter, and glue. Artville’s goal is to emphasizing artistic exploration and help small children to find their inner artist. 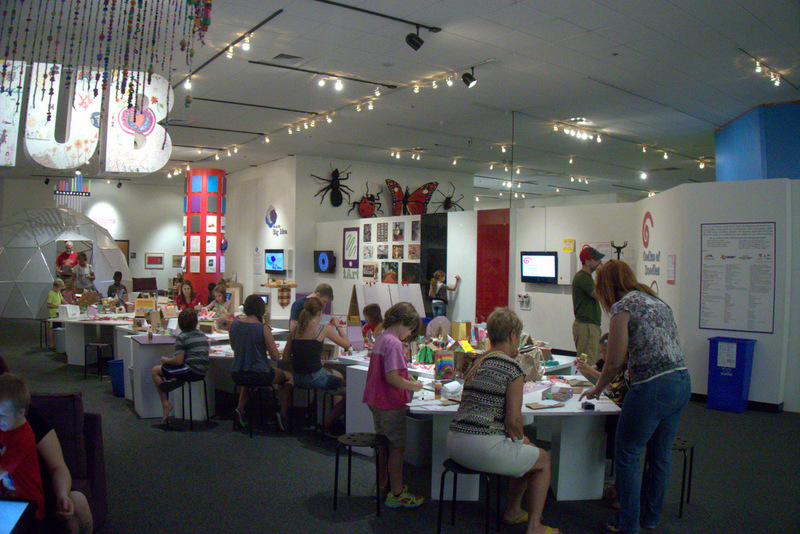 The Living Room is a sections of Artville that focus on early reading skills for young visitors. It is a place where children and adults can relax and read together. 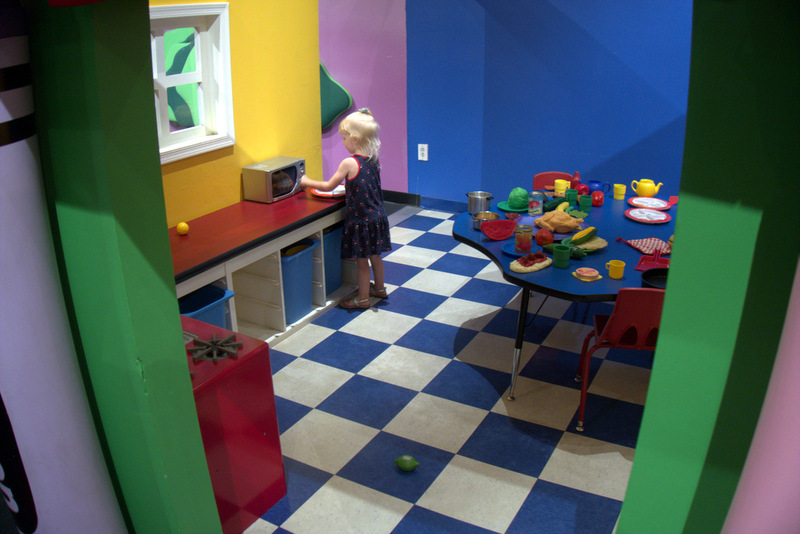 Artville has a child-sized kitchen where children can pretend to cook, eat, set the table, clean-up, and learn to recycle. At Artville Garden children can harvest Velcro fruits from a felt tree, plant veggies and harvest them. 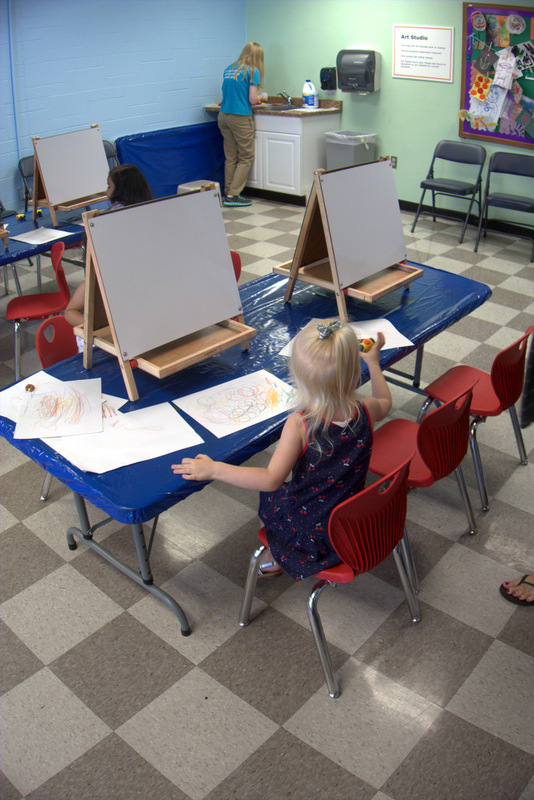 There is also a studio and gallery in Artville for children to enjoy. The HUB is a gallery with 11 different interactive areas. In one of these areas children are allowed to create an artwork from recycled materials and objects. 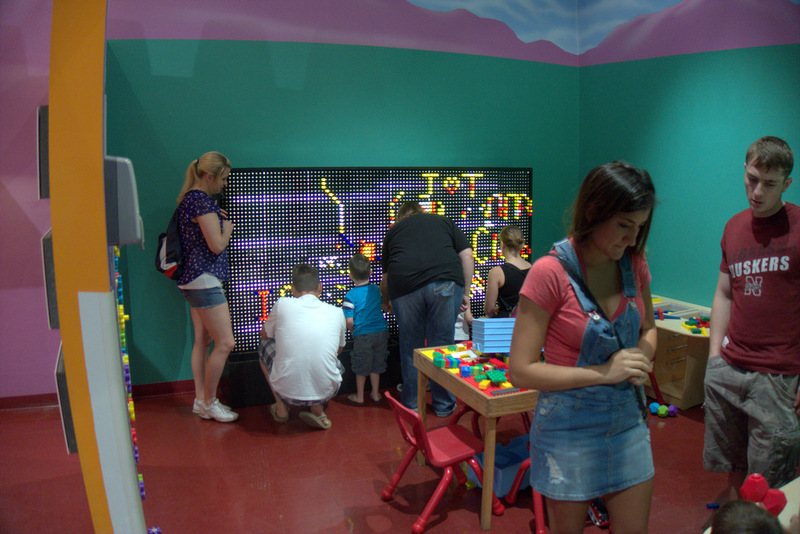 The Blacklight room is a popular place for kids to explore. Everything in the dark space will glow including your child’s imagination. Another section is designated to create your own music. Some of the other activities available are exploring forest sounds, Tech Table, making eyeglasses while learning about the science of sight. The Atrium is an outdoor area of the museum open for families to picnic, relax and check out more educational activities. The museum itself is a excellent idea. Every activity is educational for children and it is definitely a perfect place to go over the summer. 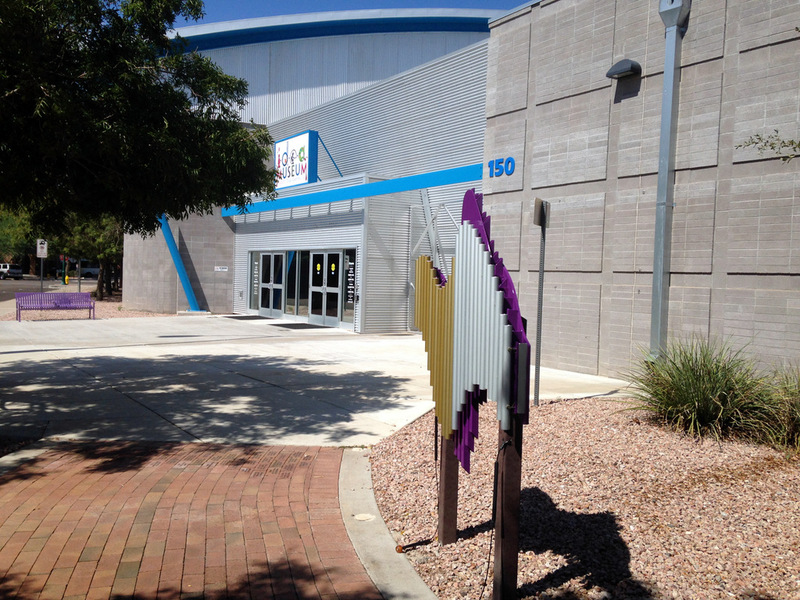 With a Pogo Pass membership you may visit the i.d.e.a Museum twice for free. A Pogo Pass allows you to visit and experience many other places for a one time fee. Currently a Pogo Pass is 60% off with the AZPLACES promo code! Located in the heart of downtown Mesa, AZ!